It was a busy start to the new half term as the school began celebrating our 80th anniversary in style! 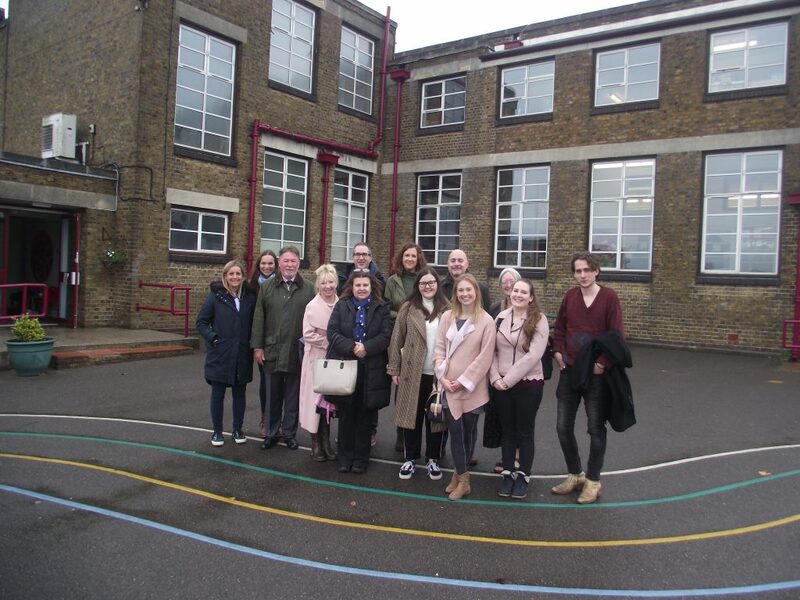 Throughout the day we were visited by several groups of former pupils of Earls Hall who went on tours of the building and reminisced together about their time at the school. They visited several classes and spoke to the children, answering questions about what was the same and what had changed whilst sharing stories about their childhoods. The visitors attended the school at various different times with some attending in the early 2000’s but some attending when the school first opened so there were plenty of stories to share! There was time for the visitors to look at old photos and time to take some new ones too. Some of our children were amazed when one of our visitors shared a hand sewn sewing purse that she had made in the 1940’s! Thank you to everyone who came along. Later in the day we were also visited by Mr Eastwood; former Headteacher of the school between 2002 and 2009. Mr Eastwood was given a special tour by a group of children and told them all about his time as Head. Thank you Mr Eastwood for coming along to join in the celebrations. ← Young at Heart & Harvest Festival!